Its MardiGras Eureka style! 2019 theme is Comic Book Characters. 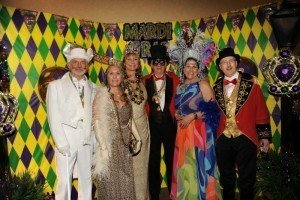 A Fabulous costume ball that fills the Eureka Springs Inn of the Ozarks Convention Center. We have a Royal Mini Parade, buffet, dancing, and costume contest. For more information and tickets visit www.eurekaspringsmardigras.org.